Though he hasn't written it yet, Obama's postpresidential memoir is sure to be a page turner. 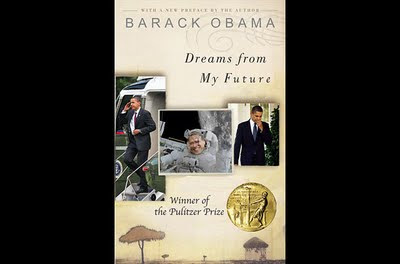 Based on samples of his past work and Obama's imaginings of his future adventures, the Pulitzer committee decided his dominance of the nonfiction field was a foregone conclusion, awarding him the Pulitzer in 2010. The chapter on space exploration is expected to be the best. 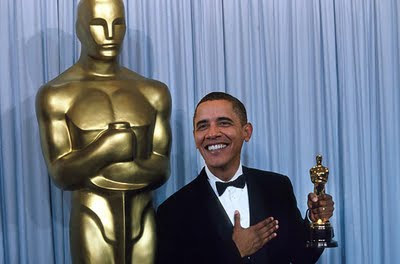 After seeing an advanced screening of HBO's upcoming documentary By the People: The Election of Barack Obama, members of the Academy could hardly contain their glee. The meteoric rise of Hollywood's favorite politician, captured on hope-saturated reels, was more than enough reason to make documentary subjects eligible for Best Actor. The members of the International Olympic Committee felt so bad after snubbing the President by denying his hometown its bid for the 2016 Games, they decided he needed a consolation prize. 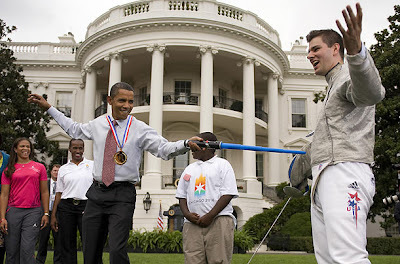 So they created the "Good Intentions" event, in which the butterflies-and-rainbows optimism of Obama reigned supreme. The President took home the gold in London, Rio and Chicago (where they chose to have the 2020 Games because they still felt bad). What better celebrity to bring in young viewers for the MTV Music Video Awards than President Obama? His soaring oratory awed starry-eyed teens across the nation in 2008, filling stadiums and hearts with hope. 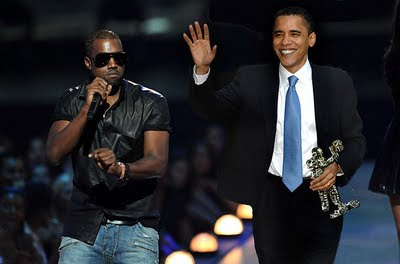 As inspiration for the will.i.am-produced "Yes We Can" music video, Obama was an easy choice to receive Video of the Year honors, even if Kanye West didn't agree. 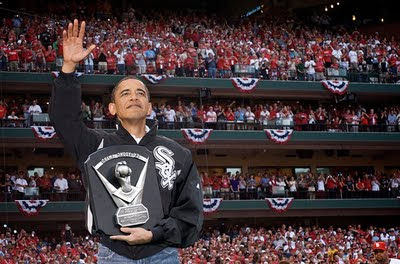 Throwing out the first pitch at 2009's Major League Baseball All-Star Game, Obama wowed onlookers with his careful windup and awkward "mom jeans." Though his pitch fell a little short, his ubiquity in broadcast booths and SportsCenter specials throughout the year convinced MLB brass he had "created a new climate" in the game, thus earning him the top pitcher's trophy for his solo throw.